1969-1972 Chevelle & El Camino. Interior Rear View Mirror with Map Light. 1969-1972 Chevrolet. Polished Stainless Steel Housing with "Guide" Stamping. 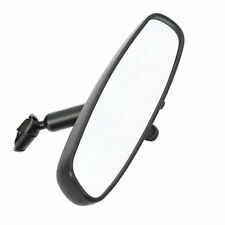 "AC Delco Rear View Mirror --. Condition : New. Therefore all implied warranties that may apply to your part are limited to the duration of this written warranty. Each warranty gives you specific rights, and you may have other rights which vary from state to state. 1963 1964 CHEVROLET IMPALA SS REAR VIEW MIRROR WITH BRACKET 4810348 (chrome). Condition is Used. The bracket has minor pitting refer to the pictures. It is going to be hard to find one in this condition. All sales are final. RARE VINTAGE PIECE. I ACCEPT ONLY PAYPAL. GM 25812208. The item in the picture is the exact item you will receive. LKQ SKU: LKQ300 ~214531848 MIR00198. We do our best to prevent these issues from happening and apologize for any inconvenience it may cause. Chevrolet Monte Carlo 2001-2007 w/OnStar (opt UE1), w/light sensitive (opt DD6). 2001-2001 Pontiac Firebird 4 pin con. 1994-2000 Pontiac Firebird. 2000-2000 Chevrolet Impala w/o light sensitive. 1994-2000 Chevrolet Camaro. 2001-2001 Chevrolet Camaro 4 pin connector. 2000-2000 Chevrolet Monte Carlo w/o light sensitive. LKQ SKU: LKQ300 ~205230104 MIR00199. We do our best to prevent these issues from happening and apologize for any inconvenience it may cause. Chevrolet Impala 2001-2001 w/OnStar, w/o light sensitive. Chevrolet Impala 2002-2008 w/OnStar (opt UE1), w/o light sensitive. Used OUT OF a 2014 Chevrolet Impala. I HOPE WE WERE ABLE TO SERVE YOU AND HOPE WE WENT BEYOND YOUR EXPECTATIONS. Also you can pickup if you live close. Used 00-15 OEM Genuine GM Universal Donnelly Rear View Mirror #015315. Part is in Great used condition. test and replace bulbs in every mirror if needed. Could have minor bulb area burn. very common. Mirror is I would classify this as excellent, atleast 9 out of 10 -just very nice condition for the age, NOT A REPOP-part number 986599 - back is excellent with ultra mild scratches. glass is excellent with great reflection, very mild tiny age spots, anything else would be reflection off box --- overallstill excellent in box-marked made in usa, guide glare-proof--I don't see anything wrong with mirror,just very very mild storage wear -box is great for age - -original real deal not a cheap repop! 1992-2014 GMC Several Models. 1992-2014 Chevrolet Several Models. 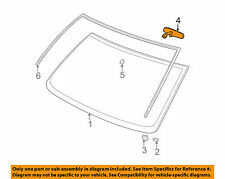 87394P All Sales 8" Polished Aluminum Bow Tie Flat Design Rear View Mirror. If the harness only has 5 wires, your vehicle is most likely not wired for an auto dim mirror. If your vehicle currently has an. IF YOU DO NOT FOLLOW THE PROCEDURE, YOU WILL NOT RECEIVE ANY WARRANTY CONSIDERATION – NO EXCEPTIONS. 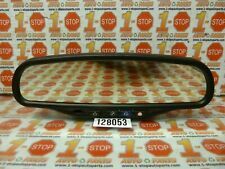 USED 2000-2005 IMPALA OR MONTE CARLO REAR VIEW AUTO DIMMING MIRROR.THIS MODEL DOES NOT HAVE COMPASS OR TEMP. MIRROR IS TIGHT AND WORKS LIKE IT SHOULD. 2013-2013 Cadillac ATS. 2011-2014 Chevrolet Cruze. 2011-2014 Chevrolet Malibu. 2010-2012 Chevrolet Camaro. 2013-2014 Cadillac CTS. Manufacture: GM. 2013-2014 Cadillac XRS. Conditions: New. 1958-66 Chevrolet Nomad & Impala. Chevrolet Interior Rear View Mirror with screw and bushing. Fits: 1958 Chevrolet Bel Air. 1959-66 Chevrolet Caprice. Hydro-E-Lectric has been providing quality made products since 1976. THIS IS A USED INTERIOR REAR VIEW MIRROR BRACKET OUT OF A 1966 CHEVY IMPALA FULL SIZE PASSENGER CAR. INCLUDES THE MIRROR MOUNTING SCREW. IMPALA 2005. Make / ModelCHEVROLET IMPALA. West Coast Auto. General Information and Conditions. LKQ SKU: LKQ300 ~207596248 MIR00193. We do our best to prevent these issues from happening and apologize for any inconvenience it may cause. Chevrolet Cavalier 2003-2005 Cpe, w/OnStar (opt UE1), w/sunroof. 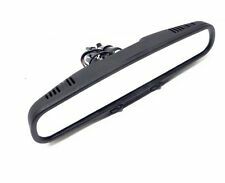 2011 CHEVROLET IMPALA INTERIOR REAR VIEW MIRROR.USED. 2011 CHEVROLET IMPALA INTERIOR REAR VIEW MIRROR.USED.. Condition is Used. Shipped with Standard Shipping. 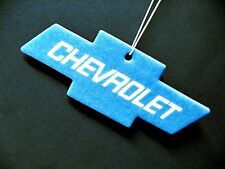 Chevrolet Vanity Mirror with Chevrolet Script. Fits: 1955-1966 Chevrolet cars (all models). 1947-1972 Chevrolet Truck. Hydro-E-Lectric has been providing quality made products since 1976. Used OEM GM Chevrolet interior rear view mirror. Donnelly E11015315 with working dual map lights, manual dim. Measures approx 9 3/4” across. Wiring pigtail included. Too many GM applications to list. Not perfect, but in really great shape. Check out photos for condition. Buyer agrees to fixed shipping cost of $10 (lower 48 states only). Check out my Feedback and you will find that I have a long, long history of providing quality items with actual descriptions. Buy with confidence! IE13 010103. Chevy GMC Cadillac (GNTX 177). Rear View Mirror.this rear view mirror is in 100% working order. This unit has been tested 100% and has no defects. This unit is ready to fully install. Part Number: 90510230. 1997-2001 Cadillac Catera. Manufacture: GM. LKQ SKU: LKQ300 ~212065273 MIR00192. We do our best to prevent these issues from happening and apologize for any inconvenience it may cause. Chevrolet Monte Carlo 2001-2001 w/o OnStar; w/o light sensitive; 7 pin connector. Grand Tex Part Number: 13585947. -GM Part Number # 13585947. 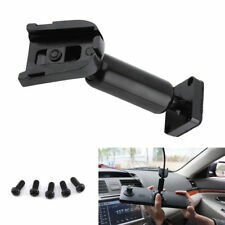 -Mounts on common GM rear view mirror wedge. NOTE: MIRROR MOUNTING WEDGE IS NOT INCLUDED WITH REAR VIEW MIRROR. OEM General Motors Rear View Mirror. Parts will vary with different trim levels, engines, transmission, etc. Part Number: 76975. Established in 1959! 1995 Chevrolet Impala. 1996 Chevrolet Impala. 2000 Chevrolet Impala. 2001 Chevrolet Impala. Notes: INSIDE DUAL READING LAMP REAR VIEW MIRROR (DC4); HAS 4-PIN CONNECTOR) (FOR 2ND DESIGN SEE 10304121) (WHEN REPLACING OLD MIRROR MAY BE REQUIRED TO USE (1) 88892596 '7' PIN HARNESS.